I'm Greta, a beloved cult classic. 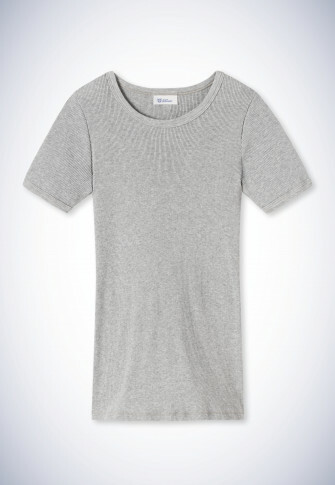 I was born in 1951 as a short-sleeved shirt with the distinctive rib structure. Now I feature a more modern cut, but my character is still the same. As for the double rib, I'm made from 100% 2-thread Supima cotton - that means that my cotton has especially long fibers and spoils your skin with the best quality. I'm not any piece of clothing - I'm a cult classic.